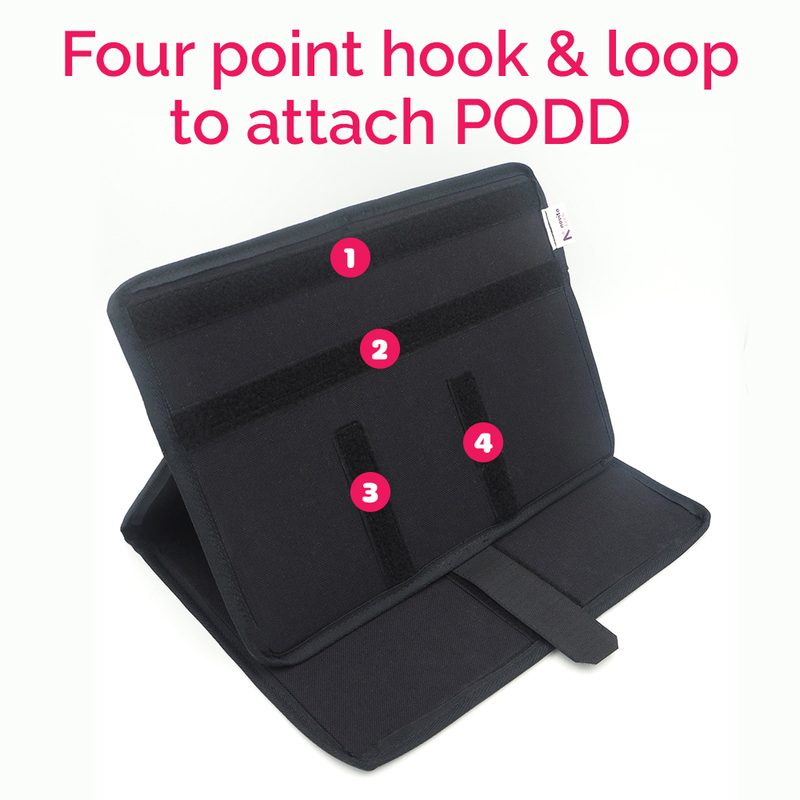 This PODD Cover with Stand allows hands free use, adjusts and holds at any angle so it is easy to see and use by both the PODD user and partner. Our PODD users have told us that it is often more convenient to use their PODD with both hands-free so they can communicate with the PODD user more effectively and more quickly. Listening to this feedback, we designed the versatile and adjustable PODD stand with a built in cover to keep the PODD protected during transport. 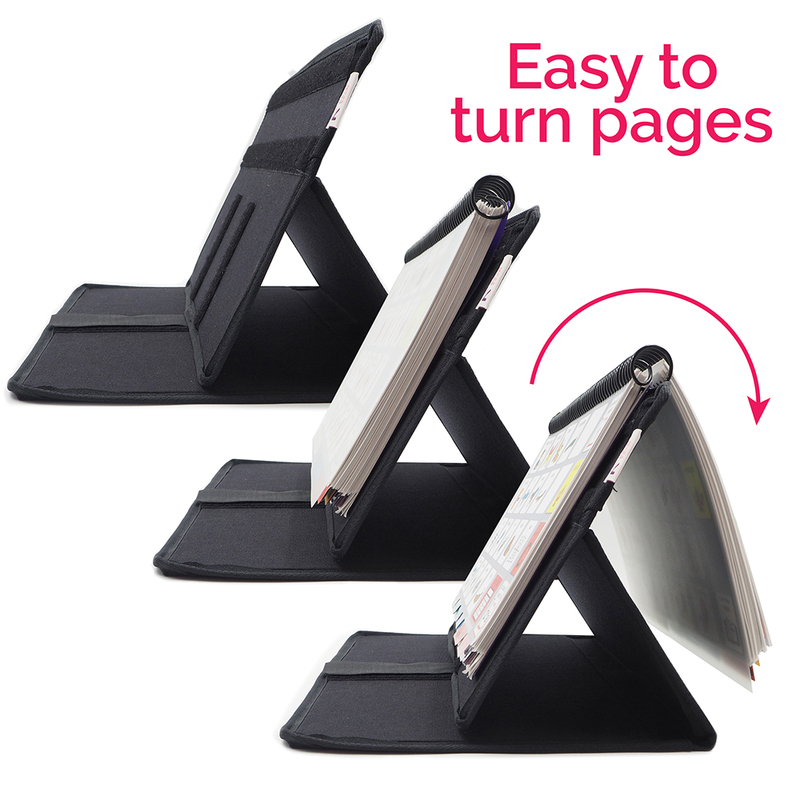 This PODD stand adjusts and holds in place at a range of angles so it is easy to see and access by both the PODD user and partner. We understand that PODDs endure a lot, so this stand doubles as a cover, professionally finished in a material called Cordura, which means your PODD is protected from everyday life. Partner the PODD Cover with Stand with our PODD Strap for ultimate versatility. Do not submerge in any fluids. Wipe off any fluids immediately with a soft cloth. Black water resistant matt covers front and back.